The Teal Pumpkin Project will be a signature project for Coast Valley Cyber Kiwanis. This is our first year on the Coast so we are just beginning our new journey. To start this project, information to the public is our first step. 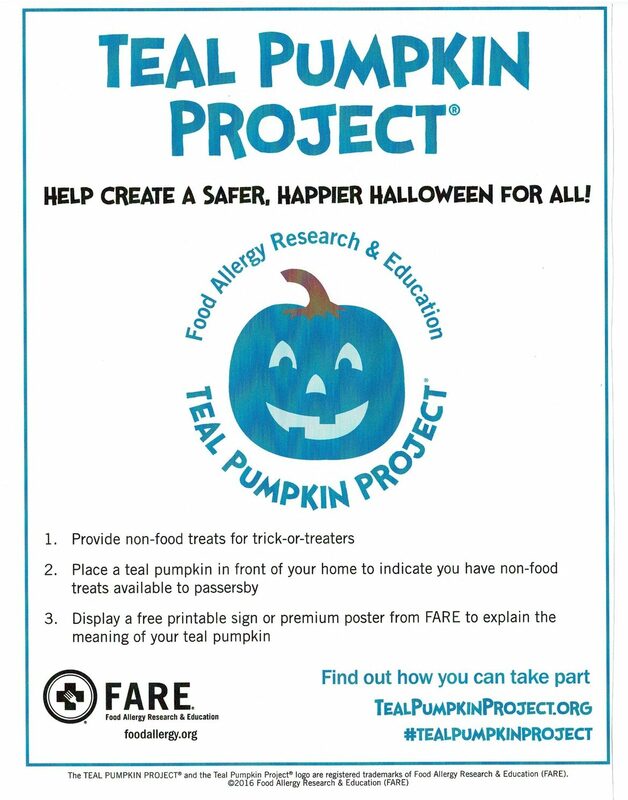 The Teal Pumpkin has a very important goal, to help parents help their children to enjoy the Halloween experience while saving their health and escape the dangers of harmful treats, especially those that can cause serious illness to children with fatal reactions to certain foods and additives. 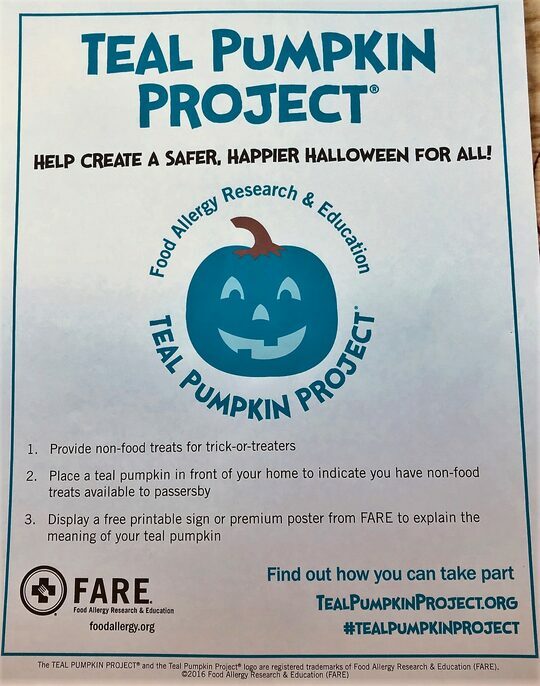 This year, we will have products that families can use to give out at Halloween instead of candy, posters for laws indicating the safe homes to get treats, and decorations to keep the Halloween spirit. This will be an ongoing project and our signature cause. Here's the good news for our Kiwanis Clubs in our Division 29 or any Division, you can join our efforts and get credit for an Interclub attendance. This is an easy project. All we need to do is pass out flyers and create small packs of small non food items to give out at Halloween. We have done this with the permission of grocery stores and businesses. We ask permission to put a table at a reasonable distance from their entry and pass out flyers to customers leaving the store for specific dates. In exchange, our club will offer advertisement in our monthly newsletter about their support to the community. Contact Coastal Valley Cyber Club at cvckiwanis@gmail.com to get materials and contracts to businesses and stores for participation. Together we can improve the health of our communities. Protect our children with special needs. Save a life and still have fun.